How better to finish off the week which started with ‘Blue Monday’ than with a tonic? I was flicking through Leon: Naturally Fast Food Book 2 and saw their Cucumber Cooler recipe which looks lovely, refreshing and healthy. However my brain saw the word ‘cucumber’ and told me to replace the water with tonic and add Hendricks gin. So on New Years Eve that is exactly what I did. 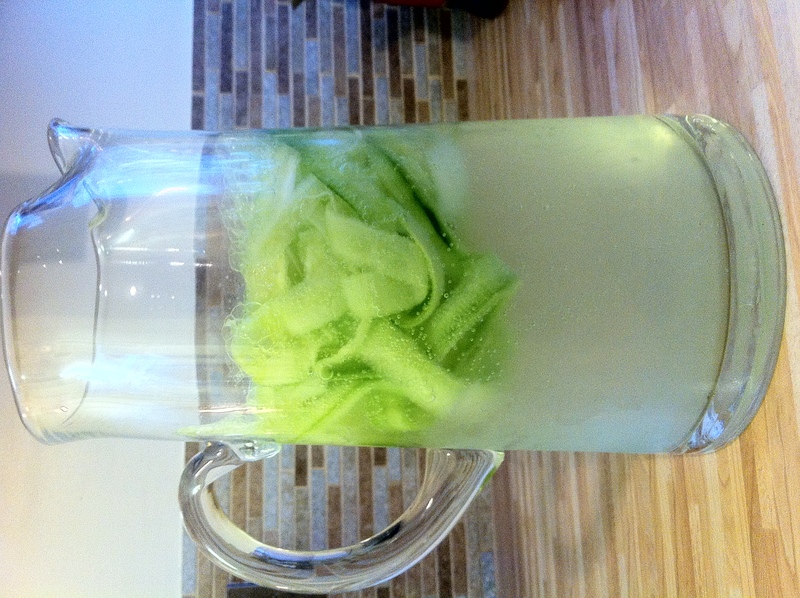 Add the ice and Hendricks to a large jug. Peel the skin off the cucumber and discard, then continue peeling the cucumber from top to bottom into the jug until you reach the seeds in the centre. Squeeze the lime into the jug and top up with the tonic water. If you’re on a January detox just omit the gin, and if you like, replace the tonic with water. This drink might be more suited to summer but in my mind there’s never a bad time for a G&T. Enjoy!